Woo-hoo! It’s time for another family fun calendar. Have you been enjoying them as much as my family has? I’d love to hear about it in the comments! The December family fun calendar is loaded with easy and affordable ideas for connecting with your family. I think you may even find a few new activities to add to your family traditions. 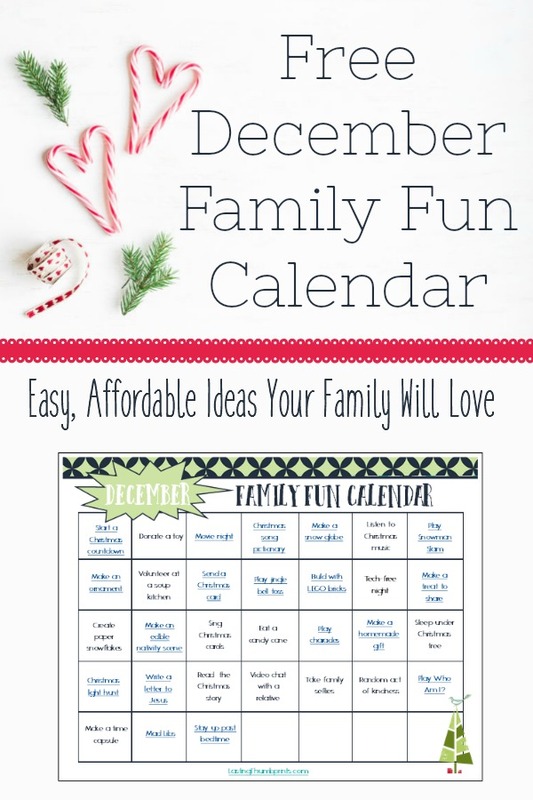 So much holiday fun for families in this calendar! We are Christians and we celebrate Christmas and the birth of Christ this month. 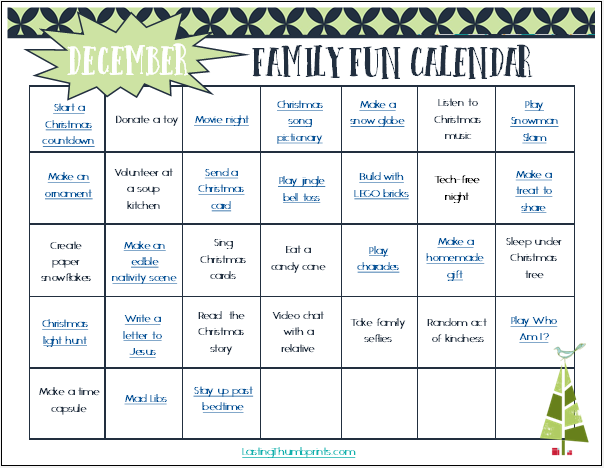 The majority of the December family fun calendar involves Christmas themed activities. I did leave many of the days generic enough that anyone could use them and then included appropriate Christmas themed links for convenience. If you’re not a subscriber and would like to receive the November family fun calendar and others like it, just enter your information below to sign up for my emails. There’s lots of great content, freebies, and encouragement! Thank you for fun printable calendar. I will use them. Hi! I would absolutely love this planner. Is this still active, because I can’t find an email or link? Thank you!